Phil Kline’s UNSILENT NIGHT is “a holiday event of a different order: people on bikes riding through parts of the city playing a recording of Kline’s mesmerizing holiday tune” according to KMFA. TXST composition student Laura Brackney is lead organizer of the event in Austin. She was featured in Judlyne Gibson’s Staccato feature on KMFA radio. This entry was posted in alumni students faculty NEWS and tagged UNSILENT NIGHT on December 11, 2017 by Thomas S. Clark. Dr. Martin McCain just completed his 3rd online arts entrepreneurship lecture series for the Intro to Music Learning and Teaching class at the Indiana University Jacobs School of Music. This entry was posted in alumni students faculty NEWS on December 11, 2017 by Thomas S. Clark. 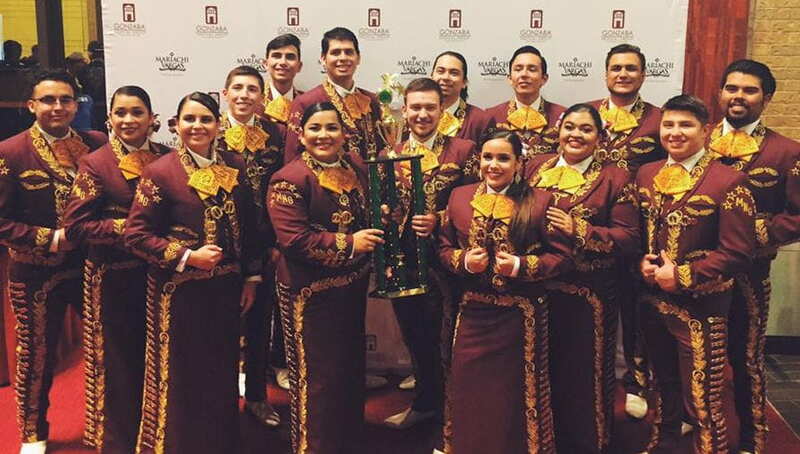 Giving a fantastic performance, TXST’s Mariachi Nueva Generacion directed by Prof. John Lopez won 1st PLACE in this year’s Mariachi Vargas Extravaganza. Also, one of our TXST vocalists, Alondra Morales, placed 2nd in the University Solo Vocal Competition. She was coached by Michelle Quintero. 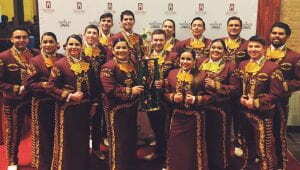 This entry was posted in alumni students faculty NEWS and tagged Mariachi Vargas Extravaganza on December 6, 2017 by Thomas S. Clark. On Tuesday December 5, students in Paula Bird‘s violin studio and the Wildflower Suzuki Studio gave a Holiday Sing-A-Long performance at the San Marcos Public Library. This entry was posted in alumni students faculty NEWS and tagged San Marcos Public Library on December 6, 2017 by Thomas S. Clark. Jazz saxophonist professor Russell Haight‘s recently released CD “Destination” was just named a Silver Medal Winner in the prestigious Global Music Awards. This entry was posted in alumni students faculty NEWS and tagged Global Music Awards on December 5, 2017 by Thomas S. Clark. Trio488 — Ian Davidson (oboe), Daris Hale (bassoon), and Jason Kwak (piano) — just released its first album, 488 Around the World. The album, recorded at Fire Station Studios, was mastered by TXST music recording gurus Mark Erickson and Gary Hickinbotham. 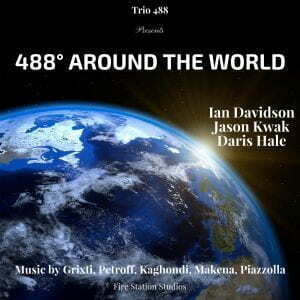 The compilation of works, all commissioned by or arranged by Trio488, features music from around the world: Pictures of Kenya is by Australian composer Jesmond Grixti, Trio for Winds and Piano by American composer Peter Petroff, and Maendeleo, which includes African drumming (Kari Klier) is by Tanzanian composer Kasheshi Makena. Also on the album are two additional works by Tanzanian composers; Maasai Ol Bassoon Le Kop Kop is by Hezron Mashuri; and Missing Friend is by Emmanuel Kaghondi. The album rounds out with an arrangement by Trio488 of Three Tangos by Argentinian composer, Astor Piazzola. Trio 488 Piano is available on CDBaby, iTunes, Spotify and Apple Music. Trio488 has performed in numerous countries over four continents, including four international conferences, a number of music festivals, and countless College campuses throughout the world. Highlights include featured performances at the RioWinds Festival in Brazil, with the We Soloists in Seoul and, closer to home, at the Bear Valley Music Festival in California. This entry was posted in alumni students faculty NEWS on December 1, 2017 by Thomas S. Clark.